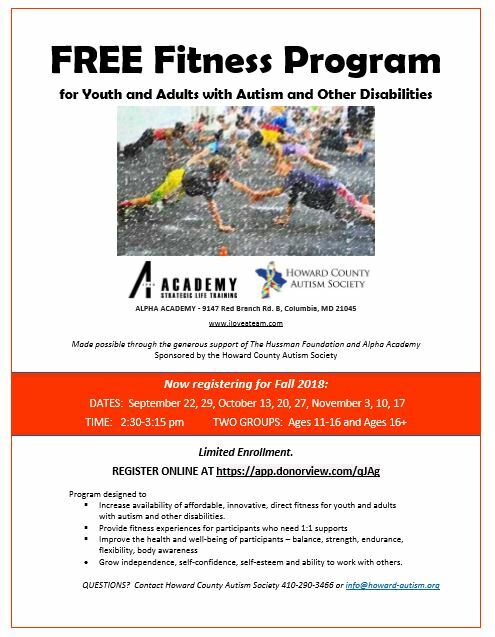 A very limited number of spots remain for our 8-session Fitness Class that offers a martial arts-flavored fitness experience for participants with autism and other disabilities who need 1:1 supports. Made possible through the generous support of The Hussman Foundation and Alpha Academy! Two groups: Ages 11-16 and Ages 16+.